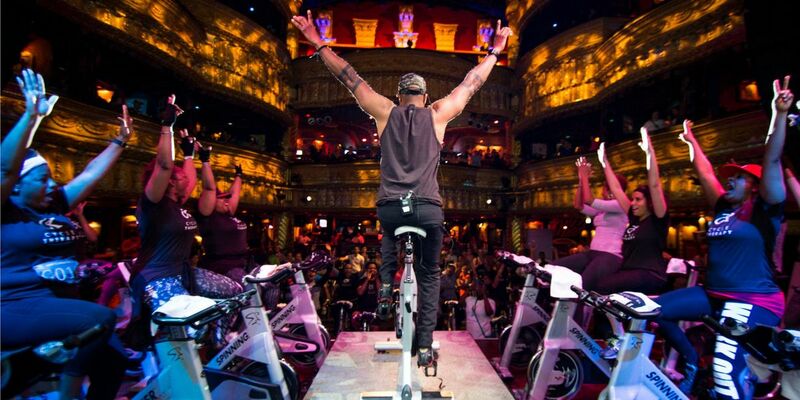 On Saturday, April 6th, Spin to Break the Cycle takes over the iconic House of Blues Chicago uniting individuals, corporations and the greater Chicago community as together we help break the cycle and invest in the future of Chicago’s youth - creating stronger, safer, and healthier communities. This high-energy spin (indoor cycling) event raises funds to support Up2Us Sports’ mission to help youth and communities achieve their potential through the power of sports. Some of the city’s most recognized personalities, fitness instructors and organizations will enhance the excitement of the day in a spin event like none other. DATE: Saturday, April 6th, 2019LOCATION: House of Blues ChicagoTIME: First session arrives at 8am. A new workout session arrives every hour through 12pm. One of the options you can choose is to pay a $25 registation fee and commit to a minimum fundraising goal of $250. You will be provided with a personal fundraising site and tools for fundraising. >>> PURCHASE YOUR SPOTThe other option you can choose is to pay your spot in full today. With this option you choose to pay $275 to buy your seat and additional fundraising is not required but is a way to further your impact. 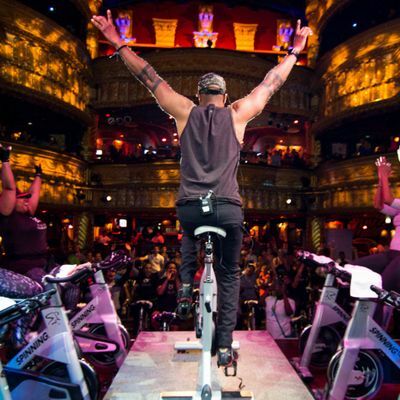 TOGETHER WE RIDE to the beat of DJ’s high energy music with some of Chicago’s best instructors leading and encouraging you through every move. This entry-level one hour spin (indoor cycling) workout will get your heart pumping and legs moving as together we go the distance to create change in Chicago.TOGETHER WE REFRESH after the workout and enjoy complimentary massage, pampering and more in the exclusive Foundation Room.TOGETHER WE CELEBRATE the change we are creating and the people like you who are making that change possible. This special reception features an appetizer buffet, complimentary drinks, themed lounges and more.TOGETHER WE REAP THE REWARDS knowing that we are all connected - we are one Chicago. Every life impacted every community strengthened helps create a stronger, safer, healthier Chicago. Your participation is a part of the solution and the Spin to Break the Cycle Fundraising Rewards program recognizes and rewards those that go above beyond the call providing you with an opportunity to earn exciting rewards like airline certificates, sports tickets and exclusive experiences.